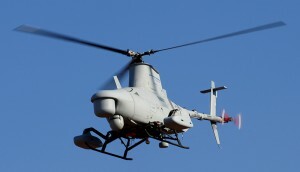 Home > Blog & Resources > Aerospace > Navy launches new unmanned and manned helicopters. Navy launches new unmanned and manned helicopters. The US Navy is using a new type of unmanned helicopter in conjunction with a manned MH-60R squadron. This new group called the “Magicians” consisting of 8 manned helicopters and 10 new Northrop Grumman MQ-8 Fire Scout drones. The MQ-8’s role in this group is multipurpose. The scout will be primarily used for surveillance, having a longer time on target than the manned choppers. The Fire Scout can remain airborne for at least eight hours while the MH-60R can only remain on target for 3.3 Hours. Where is the advantage? The Fire Scout can remain, keeping an eye on the area, while the manned helicopters return to refuel and rearm. This unmanned aircraft is controlled by 2 pilots, on the ground or on the ship, up to 110 miles away. These new drones also can be used fully autonomously. The Fire Scout already has an upgraded version in at Northrup Grumman. After a little research, finding some videos showing this incredible new tool was not only exciting, but showed some live footage demonstrating its surveillance capabilities including utilizing FLIR . The real-time data can prove to be invaluable from this new drone. Sending an unmanned aircraft over hostile areas to investigate and monitor can provide much needed intelligence to the manned helicopters to preform their mission. The navy has already acknowledged that there is no “Playbook” for combining manned and unmanned teams in a squadron. The Magicians will be in training this summer honing their skills and building the teamwork to be a cohesive fighting unit for the US Navy. The squadron will be operating on the Navy’s new littoral combat ships in the Pacific in about a year. The high speed ships can operate at shallow depths and go where larger ships cannot. This will further increase the benefits of the MQ-8 Fire Scout. With all of its advanced equipment, long range and time on target, these drones will be a new addition to the US Navy’s arsenal. Unmanned aerial vehicles are becoming more and more advanced as the years progress and the newest technology is emerging.